It’s a month away…so for all of you in the Southern California area (and out-lying areas) good times are to be had at Pacific Art Glass in Gardena. 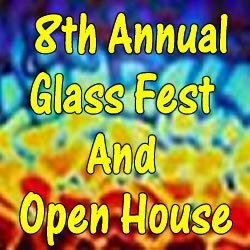 It’s Glass Fest and it’s October 6-7!! So much glasstastic fun!! There are contests and raffles and demos and sales and food and demos and stuff and glass…I’m feeling like a bit of a spaz right now but this really is a good time. Go check out what they have planned. You can even get advanced tickets to save a few dollars or so. Buy more glass with that! Go to Glass Fest! !